Three Ukrainian soldiers were killed, and another three were injured when an unknown booby trap exploded near the village of Novotoshkivske in Luhansk region, according to the press center of the Anti-Terrorist Operation (ATO) Headquarters. The incident occurred at 18:00 local time on Wednesday, July 19, the ATO HQ said. The number of enemy attacks on Ukrainian troops in the Luhansk sector increased in the evening, it said. "After 18:00, the village of Novozvanivka in the Luhansk sector was attacked by enemy infantry fighting vehicles. What is more, militants used grenade launchers and large-caliber machine guns to attack Ukrainian defenders of the village of Novo-Oleksandrivka, and small arms were used to fire on the village of Stanytsia Luhanska," the press center said. 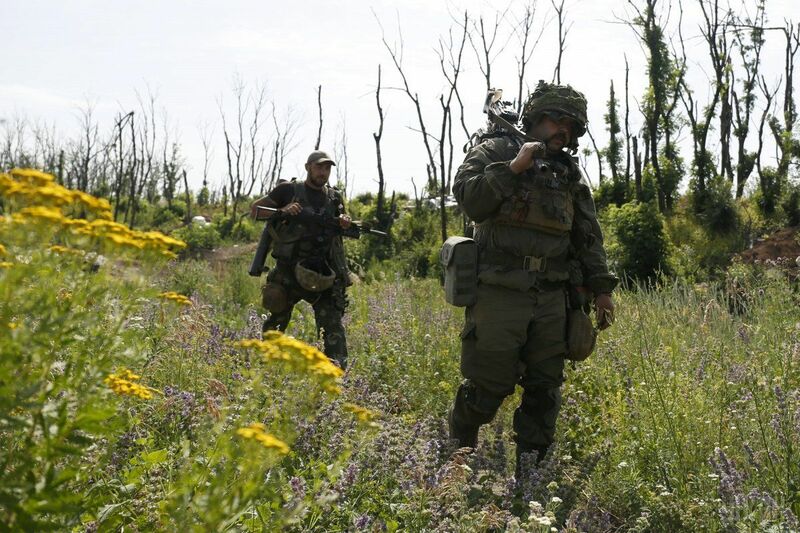 Read alsoTwo Ukrainian soldiers killed, four wounded in action in Donbas in past dayUkrainian positions in the villages of Vodiane and Hnutove in the Mariupol sector came under grenade fire. "The enemy also opened fire on Hnutove from 82mm mortars at 20:00 local time," it said. Attacks on the outskirts of the town of Avdiyivka in the Donetsk sector continued on Thursday, Russian proxies used grenade launchers and small arms. At about 23:00 local time, they opened fire on ATO positions in the village of Pisky from a banned 120mm mortar. The village of Luhanske was attacked by an enemy infantry fighting vehicle. Russia's hybrid military forces continued shelling residential areas in Donbas: at about 19:00 they started firing on the town of Maryinka from large-caliber machine guns and at 22:00 they began lobbing grenades into the village of Zaitseve. "In total, illegal armed formations violated the ceasefire 21 times yesterday. Four Ukrainian soldiers were killed, and three were wounded. The ATO forces fired back 13 times," the ATO HQ summed up.